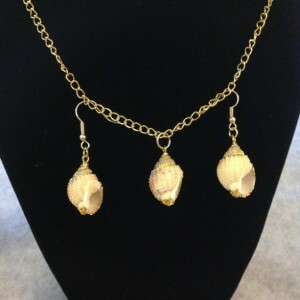 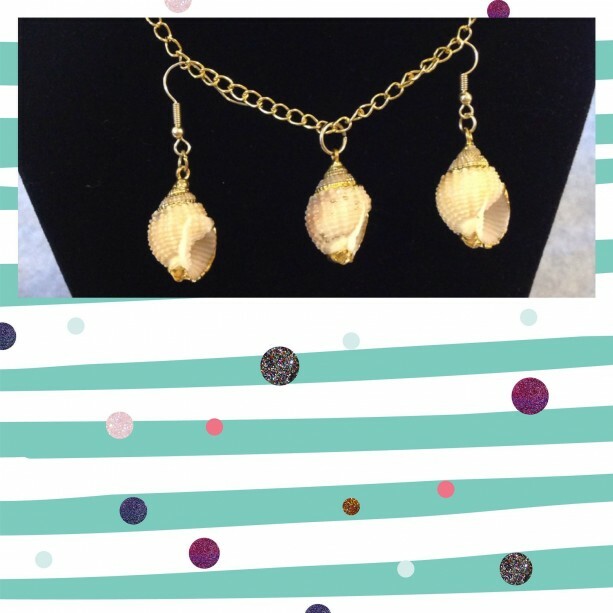 Shell jewelry set. 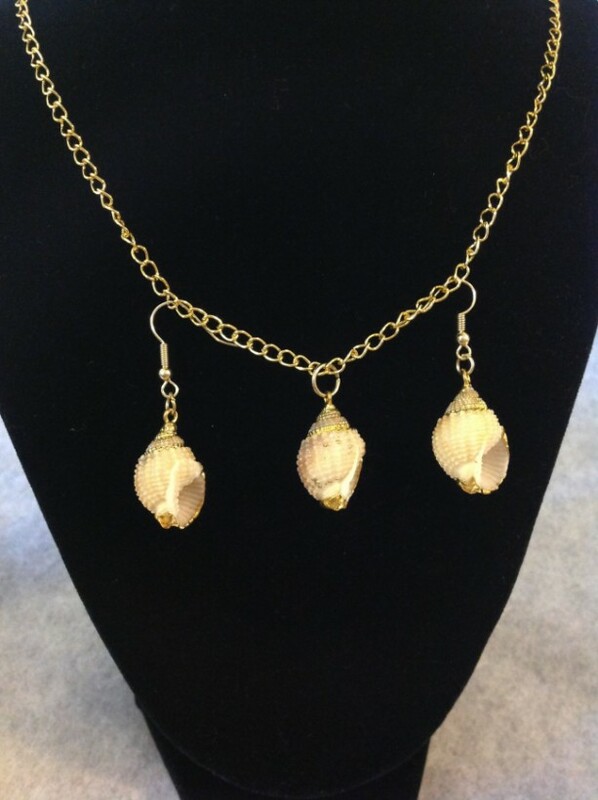 This set come s with a necklace and earrings. This set is small and cute. 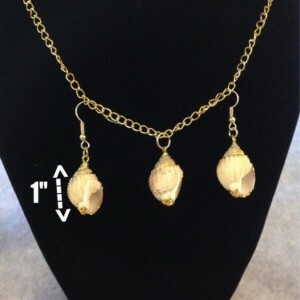 It's a great way to add some flair to your outfit. 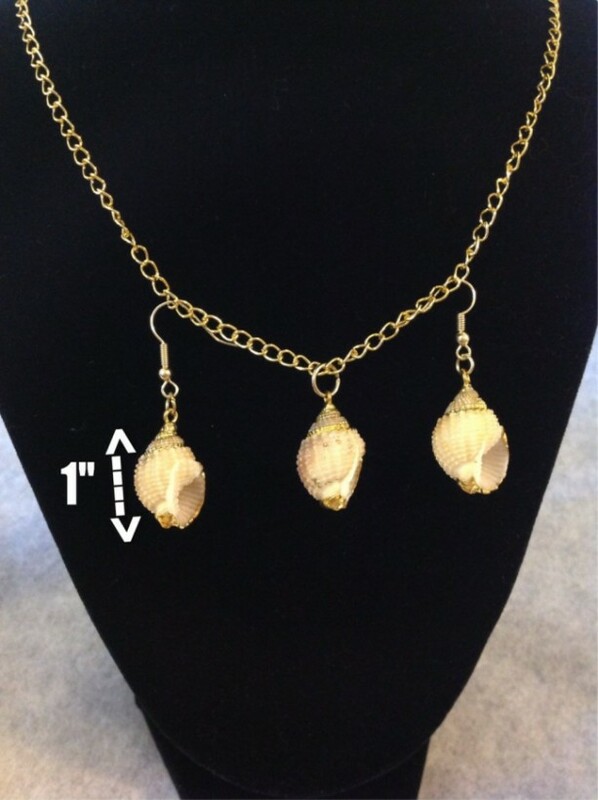 Measurements: Each shell: 1" long Chain: 20"